The cancer stem cell hypothesis asserts that malignancies arise in tissue stem and/or progenitor cells through the dysregulation or acquisition of self-renewal. 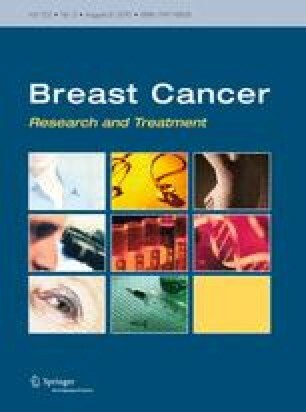 In order to determine whether the dietary polyphenols, curcumin, and piperine are able to modulate the self-renewal of normal and malignant breast stem cells, we examined the effects of these compounds on mammosphere formation, expression of the breast stem cell marker aldehyde dehydrogenase (ALDH), and Wnt signaling. Mammosphere formation assays were performed after curcumin, piperine, and control treatment in unsorted normal breast epithelial cells and normal stem and early progenitor cells, selected by ALDH positivity. Wnt signaling was examined using a Topflash assay. Both curcumin and piperine inhibited mammosphere formation, serial passaging, and percent of ALDH+ cells by 50% at 5 μM and completely at 10 μM concentration in normal and malignant breast cells. There was no effect on cellular differentiation. Wnt signaling was inhibited by both curcumin and piperine by 50% at 5 μM and completely at 10 μM. Curcumin and piperine separately, and in combination, inhibit breast stem cell self-renewal but do not cause toxicity to differentiated cells. These compounds could be potential cancer preventive agents. Mammosphere formation assays may be a quantifiable biomarker to assess cancer preventive agent efficacy and Wnt signaling assessment can be a mechanistic biomarker for use in human clinical trials. The online version of this article (doi: 10.1007/s10549-009-0612-x) contains supplementary material, which is available to authorized users. This work was performed with NIH T32 grant, Innovative Concepts in Stem Cell Research Foundation Grant, and NIH KL2 grant support and support from the VA hospital. We are grateful to Sabinsa Co. for the donation of curcumin and piperine used in these experiments. The authors also wish to thank Irving L. Weissman (Stanford University School of Medicine, Stanford, California) for providing the LEF-1/TCF reporter constructs. We wish to thank Samadhi Liyanage and Dr. Shiv Kumar Dubey for their assistance with some experiments in this manuscript.